In the last two years, Shine staff have spoken 5 times at conferences in Australia and overseas. We’ve done 10 user group presentations around Melbourne, and posted 37 entries to this blog – not including news items and conference reports. As a result of all this activity, traffic to the blog has increased by a factor of 10. We’ve had new hires tell us that our blog entries and presentations were an influencing factor in their decision to join us. We now have staff who are organisers for local technology meetups, some of which are hosted at Shine HQ. And we’ve even seen a couple of our blogs and presentations act as catalysts for new client engagements. Why am I telling you this? Because all of this activity hasn’t just been a random occurrence. Instead, it’s been part of a deliberate and sustained strategy. In this post I’m going to talk about how we’ve done it. Two years ago, the Shine executive team decided that they wanted to do more to publicise the great technical work that Shine does, and to raise Shine’s profile as a technical thought-leader. Up until that point, blogs and presentations had been done on an ad-hoc basis by a few individuals. What was needed was a more coordinated effort, with proper incentives. So what did they do? Well, in short, they put their money where their mouths were: they allocated a budget and put a group of senior developers in charge of overseeing how it was spent. 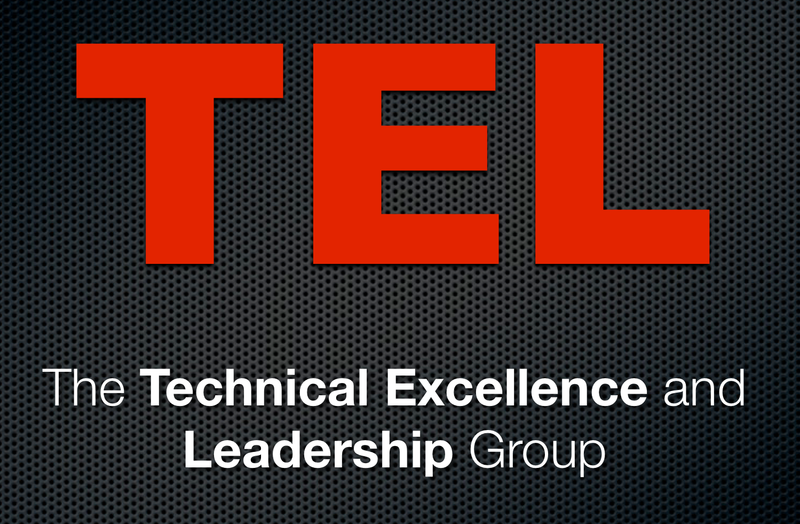 This group is known as the Technology Excellence and Leadership group, or TEL. The budget comprises two parts: money and time. The monetary portion of the budget goes to prizes and bonuses for producing material. The time portion is for staff to draw upon to get away from their day-to-day work commitments and produce their material. Finally, the TEL group members have targets for the number of blogs and presentations to be produced each year. The ultimate goal for TEL was for Shine staff to present at conferences in Australia and overseas – something that we’ve now started to do and hope to continue in future. I am not aware of another organisation that has formally put in place a system like this, even amongst the larger consulting shops. This is surprising given the clear benefits that we’ve seen. iOS: We’ve built iOS apps for a number of corporate clients and have a number of experienced iOS developers. Android: Shine’s built Android apps for several clients and have a team of enthusiastic developers. We anticipate that this is going to be an ongoing area of growth for us. Java: Shine’s been doing Java development for over 10 years and it remains one of our core technical capabilities. AWS: The shift to the cloud is inevitable, and AWS is at the forefront of the charge. We’ve been early adopters of AWS for our own internal products, and have begun to help some of our clients move to the cloud as well. Staff are also able to produce material on topics outside of these areas, but are encouraged to talk to a TEL group member first. In addition to the benefits for Shine that I spoke about at the beginning, the TEL program has a number of upsides for staff – and I’m not just talking about prizes. Firstly, it’s an opportunity for staff to improve their writing and presentation skills. The TEL group reviews blog posts in advance and provides feedback. We also coach staff on public speaking and conduct presentation test-runs at Shine HQ, providing a safe environment for what some find to be a nerve-wracking activity. Secondly, having the opportunity to write and speak in the public domain gives our staff the chance to raise their own profiles in the technology industry. It encourages them to get their names out there, network amongst their peers and develop contacts. This networking is particularly critical to the process of applying to speak at conferences, where it’s as much about who you know as what you know. So What Do We Write/Present About? Something that’s been learnt. If a staff member wasn’t able to find a straightforward solution to a problem on the web and had to figure it out themselves the hard way, we usually figure it’ll be of interest to the wider tech community. This is our most common type of blog entry – see Tim Osmond’s Testing Android with Robotium for an example. Something that’s been built. Sometimes a staff member builds something new as part of their work and it’s worth sharing it with the world. Greg Gross’s recent An Identity Map for Backbone post is an example of this. Something we have an opinion about. Obviously this opinion needs to be grounded in some real-world experience, but if a staff member is able to argue their case with both passion and reason, we’re willing to give them a soapbox! An example is the Why Would You Use Interface Builder for iPhone Development? post that I wrote a while back. Additionally, the TEL group tries to keep track of what people are working on across the company, looking for things that people have been doing that might be worth blogging or presenting about. It’s common for people to get a tap on the shoulder encouraging them to do something! Normally, the time commitment per piece is relatively small; if somebody wants to prepare a presentation for a user group or write a blog entry, they might get a day or two to do it. However, if you look at the amount of material that’s been produced, you’ll see that cumulatively it’s a significant investment of time for Shine. On the blog front, I’d have to say a highlight was Greg’s An Identity Map for Backbone post – it was posted on Hacker News and the first commenter was Jeremy Ashkenas, creator of Backbone. We had 5000 additional pageviews that month. Our user group involvement obviously helps us get speaking spots, and has also helped us get a couple of conference placements as well. The TEL group has been a big success at Shine and we look forward to continuing its activities. It’s amazing what a difference some structure and incentives can make to the process of writing blogs and doing presentations!